Here we are again to share some newspaper articles and blog posts we liked specifically. 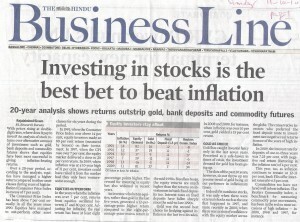 A nice comparison of the returns provided Sensex, Gold Bonds and Fixed deposits and as expected, investing in stocks proves to be the best way to beat the inflation. For over 25 years we have been working on this concept with a continuous effort towards finding a good undervalued small/mid cap stock ideas with strong fundamentals. We share about such ideas to have healthy discussions and connect to people with the similar approach. 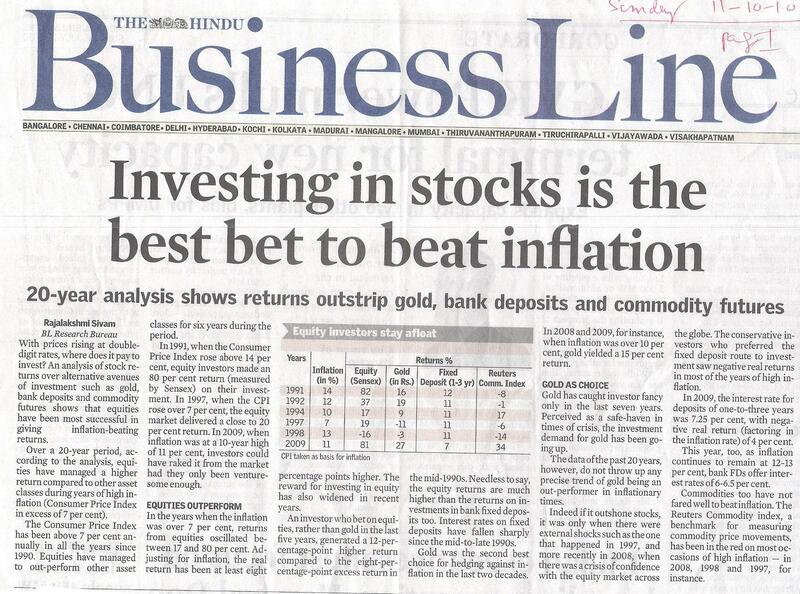 Online links to both the above articles are – ET article & Business Line article. In the video Alice Schroeder takes us to a journey using a specific case study which was not discussed in the book. Thanks to Pradeep for sharing the above video on his wonderful blog. Do share your favorite articles through comments.